Your credit score is a mathematical algorithm. The formula is derived from a model called Fair Isaac, where points are given for revolving credit, payment history, outstanding debt, available credit limits, and debt ratio. Your credit score could change drastically just by paying down small debts. Many programs allow consumers to purchase a home with minimal investments. Rural subdivisions qualify for USDA programs that create access for many people to purchase a home with zero down. VA loans are zero down. FHA loans are available to anyone with 3.5 percent down. B&M Asset Group pays your closing costs up to 2 percent of the sales prices. 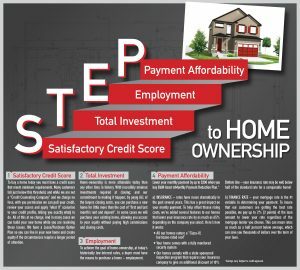 We give you the opportunity to own a home with zero investment. The length of time you’ve been at your current employer is not as important how long you’ve been employed in your field. There are exceptions that lenders will take into consideration, such as being a student, taking time off to have children, etc. Record-low interest rates and zero-down loans mean that the old line, “Payment equals 1 percent of your home price,” no longer applies. Stable costs and low interest rates make the affordability of owning a new home lower than any other time in history. We’d love to sit down with you and help you calculate your payment. You’ll be amazed to learn how much home you can afford. Contact us today to learn about how advantageous our new home financing in Amarillo can be. B&M Asset Group, LLC proudly offers a lease-to-purchase program, as well as trade-in options for existing homes. We look forward to helping you!